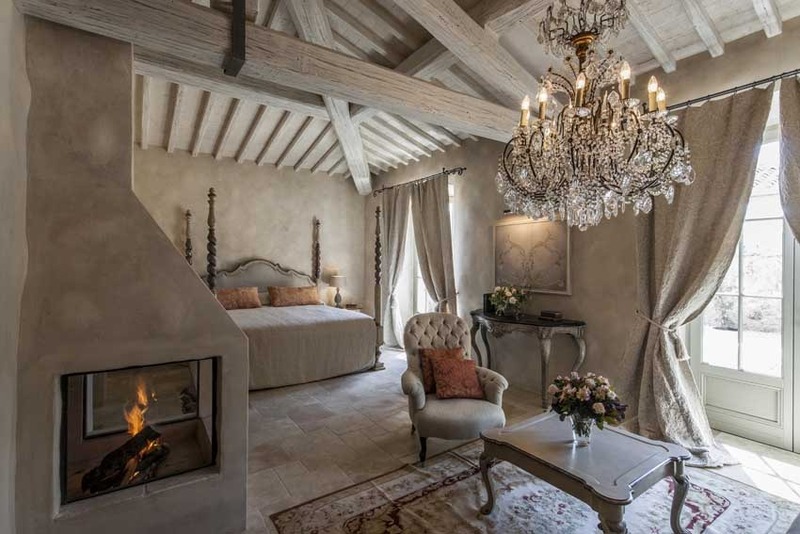 Borgo Santo Pietro is a five-star boutique hotel located in the very heart of the Tuscan countryside near the medieval city of Siena. 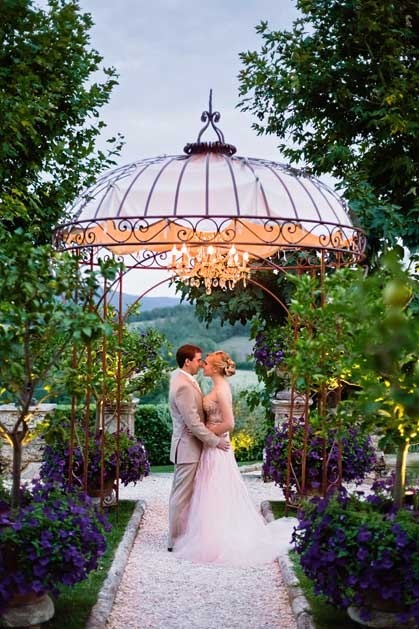 Borgo Santo Pietro offers an exceptional location for weddings ranging from intimate occasions to grand-scale formal celebrations up to 100 guests. 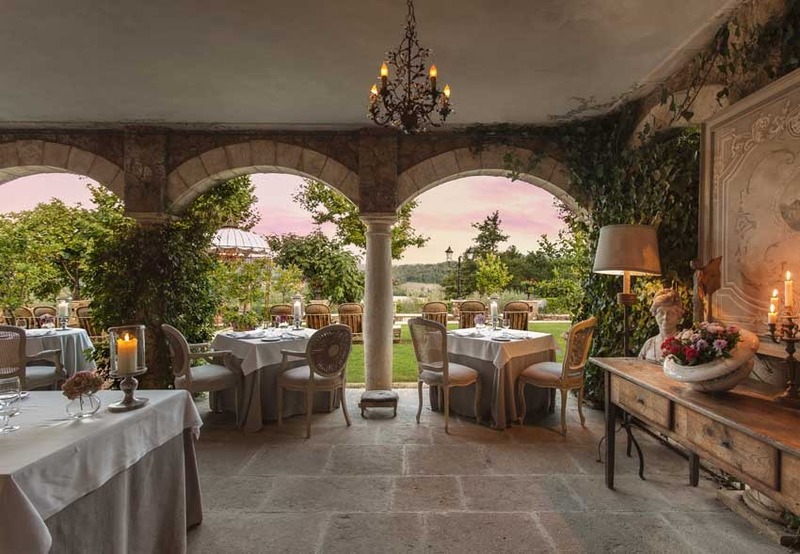 At the Borgo you can choose to hold your blessing in one of the many enchanting rooms within the 13th century stone villa or at one of the romantic spots in our beautiful gardens. 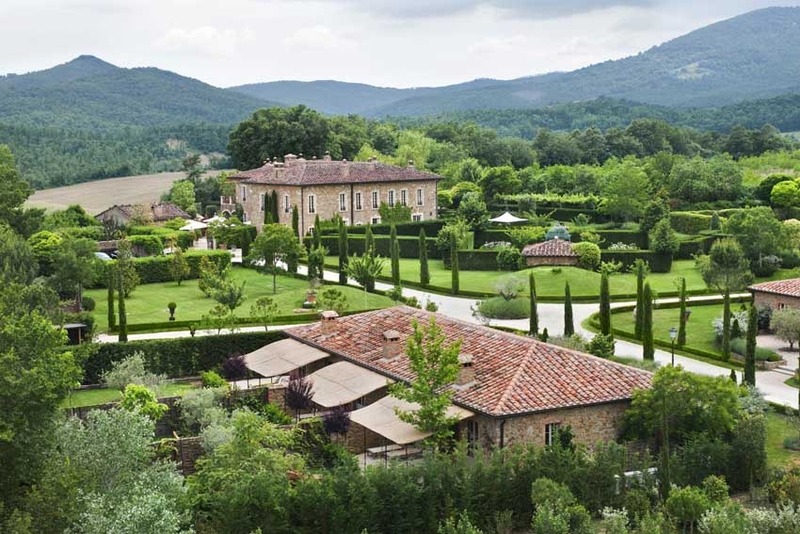 A few kilometres away you will find the mystical abbey ruins of San Galgano and the round church of Montesiepi which houses the famous ‘sword in the stone’. 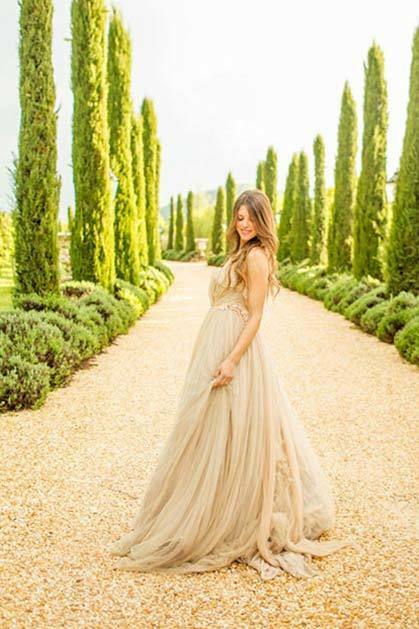 We can arrange for your ceremony to be held at either of these historic properties, with post-wedding celebrations and accommodation provided at the Borgo. 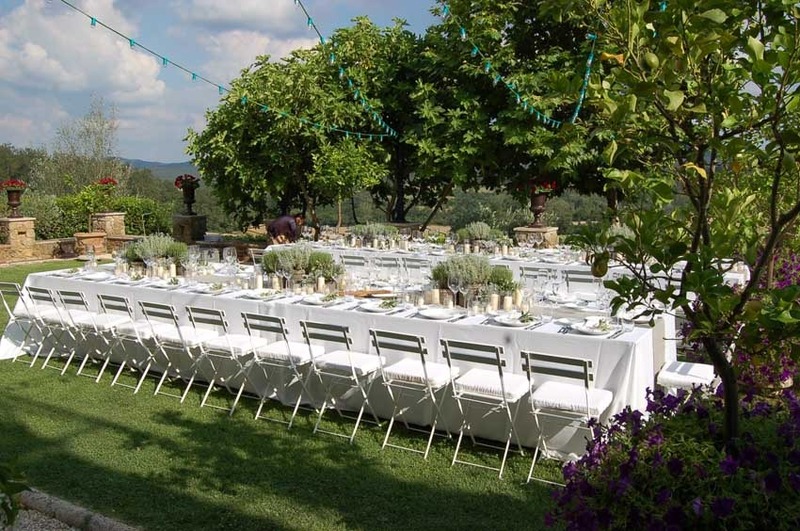 The borgo is suitable both for intimate weddings with up to 40 guests and for larger parties up to 100 people. 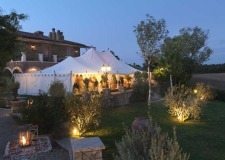 Borgo Santo Pietro staffing costs are included in the price up until 1am every night. If the party is to continue further, an hourly extra charge will occur to cover staffing costs. 16 double rooms. All rooms and suites are furnished with queen or king size beds, except for our double room “Sir Vincent” which has twin beds. Check-in from 3:00pm on the day of arrival; check-out no later than 11:00am on the day of departure. 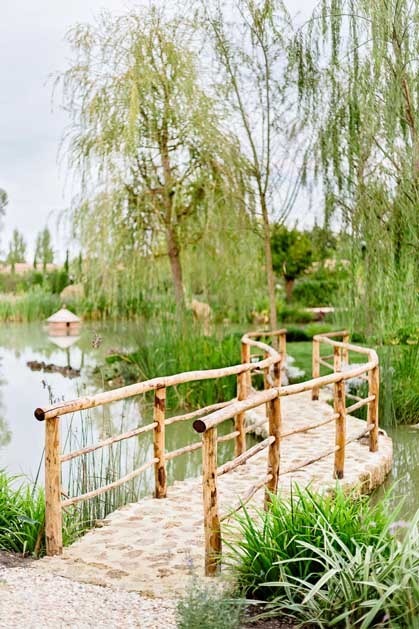 During your wedding celebrations, the entire Relais Borgo will be at your exclusive disposal, including the accommodation, staff, spa, restaurant, swimming pool, tennis court and all other activities available. 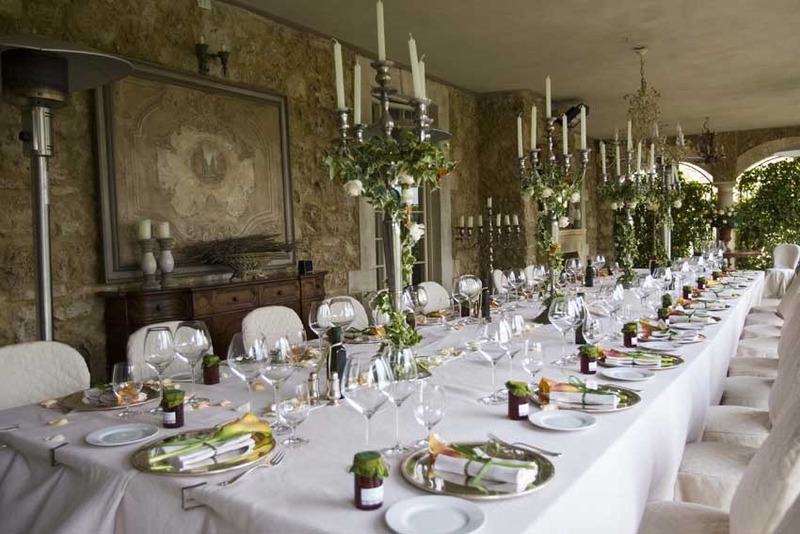 Wedding guests not residing at Borgo Santo Pietro are welcome to use the facilities (pool, tennis table, etc.) at an extra charge. This will include use of towels and other related amenities.